Foreign minister Ivica Dacic has rebuffed the “two Germany“ model as a solution for resolving the Kosovo issue. The speculations on this model, suggested by the German diplomat Wolfgang Ischinger in 2007, have recently surfaced again. This model cannot be applied in the Kosovo case because former East Germany and FR Germany were internationally recognized countries before the German unification in 1990, Dacic told TV Pink. In the case of Kosovo, that model would mean that Serbia should be divided, he argued. The purpose of the fresh speculations on “two Germany” model was to persuade Serbia that such kind of solution could be possible, Dacic said. As the foreign minister said, it is uncertain when the dialogue between Belgrade and Pristina will continue. He reiterated Serbia’s position that the customs taxes that Pristina has imposed on Serbian goods must be abolished before further negotiations. Dacic claimed that Pristina “will not abolish the taxes because there are some countries that gain advantages from this situation at this moment”. He did not specified which countries. The frozen conflict is not a good solution for the issue, he went on, adding that Belgrade, in this regard, “warns international community all the time”. In his words, Belgrade “does not have full sovereignty” in Kosovo, while Pristina “does not have the full sovereignty in the north of Kosovo it would like to have”. 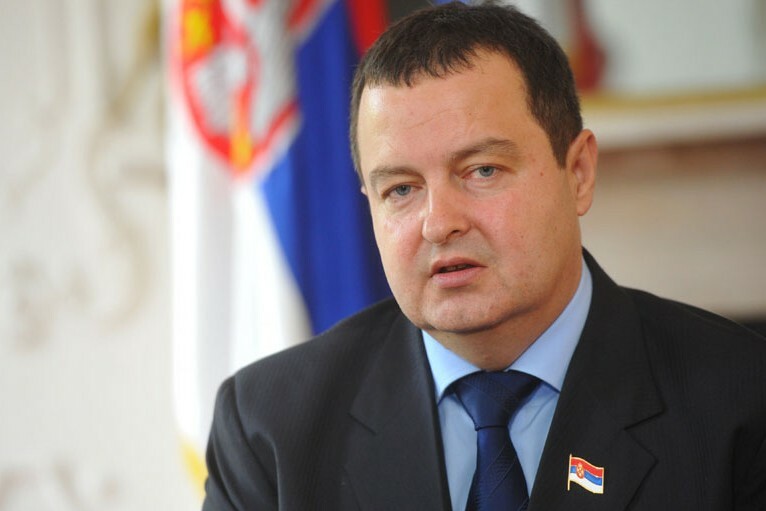 “Their (Pristina’s) objective is, maybe, to try to conduct a Croatian scenario, some new‚ Storm”, which means to deport all Serbs from the north and achieve full sovereignty“, Dacic concluded.